The company founder wanted to hire a CFO to help develop the business faster. But he also expected the new CFO to do the daily accounting chores. The executive director wanted to hire a Senior Director of Development, with three years experience required. The Board got upset when the salary was up by nearly 50% over the most recent job holder. But she felt she had to use the title to get good candidates. The company lost its long-time admin and went through 4 more in less than a year. The two owners were spending a lot on the process but had no idea why they could not find and retain the right help. Are these folks stupid? NO! Are these issues common? YES! 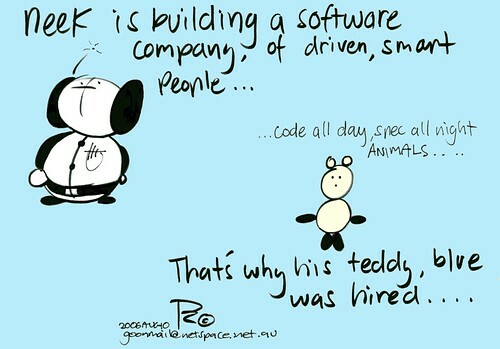 Many founders and executives do not understand the basics of hiring effectively. Untrained, untutored, or inexperienced, they fall prey to common errors or try the touted ‘new method’ du jour. All this results in significant costs, time wastage, and frustration at a minimum. Too often it also results in legal issues, high employee turnover, or longer-term damage to the organization. And all these issues are magnified in small to mid-size companies which often lack the expertise in management and in human resources to prevent these problems. How can you hire effectively for your business? 1. Look at your staffing needs as a part of your business planning. Define the needed positions, the basic qualifications, the expectations you have for what will constitute success (short and long term), and how you will find and hire the right people. 2. Learn how to hire! There are classes, there are books, there are consultants like me who can teach you. But YOU have to make hiring the right people a real priority. Jack Welch said repeatedly, from the day he became CEO of GE throughout his tenure, that hiring the right people was his most critical function. And his work demonstrated that he did so. 3. Understand the sourcing process. The right approach helps you find candidates who can help you succeed. Too many job ads and sourcing efforts just result in a lot of time-wasting dreck. A little advice from your HR advisor or consultant may be your smartest investment. I recently talked to a small firm that has spent a fortune on Monster and a recruiter who put them into the wrong job fair – and they still have not found the two IT people they need. Hiring has changed a lot in the past few years! And all the old ways were not always the best either. 4. Make the time to do it right. Hiring is expensive. Doing so badly is VERY expensive. Get a temp if needed. But don’t rush a hire. Make yourself plan and schedule time for the full process and commit. Too many entrepreneurs feel as if they cannot afford to pay much. Yet I hear regularly from potential clients about how they are having to re-do the work of low-paid employees themselves but cannot afford to pay market rates. Or they have several very different jobs combined into one and then are surprised when critical parts are not done well. These practices cost you far more than they save in pay dollars. In HR we often bemoan publicly and privately the hiring managers who want the ‘perfect plus’ candidate – the purple squirrel – and thus never hire anyone in a timely manner. And this gets worse in recessions when the prospect of too many applicants make such managers even more indecisive. You do need to be realistic about what are your mandatory requirements and what would be ‘nice to have’ additions versus what you are willing to pay for all this. You need to be smart about how you attract the right people who can succeed with you. Think about what the costs are of not hiring in a timely manner. Are you losing revenue dollars? Wasting the time of mission-critical people on lower-level tasks? Losing billable time? And all those costs are just the small part of what a poor hire costs you – directly and indirectly! Spend a little time upfront to get smart and to plan. You’ll be happier tomorrow. Strategies for Human Resources and recruiting effectively.